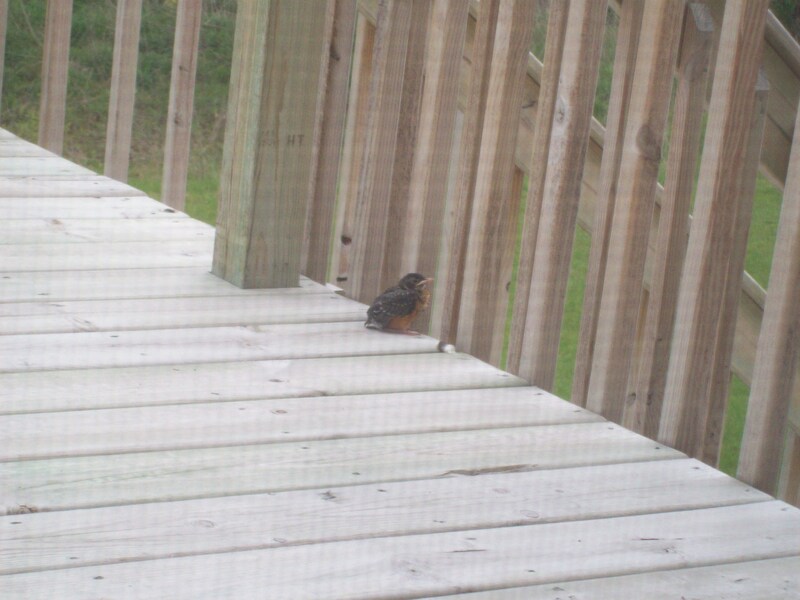 Today there was a little bird on our deck who was there for hours and kept calling out loudly. 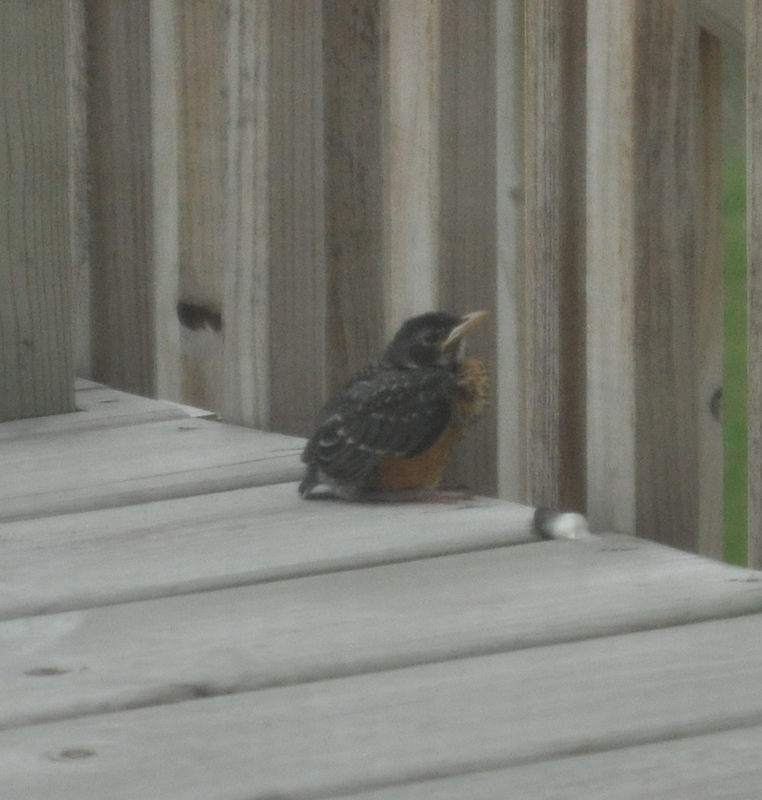 It would seem a baby Robin, still too young to fly, got out of his nest and onto the deck somehow. 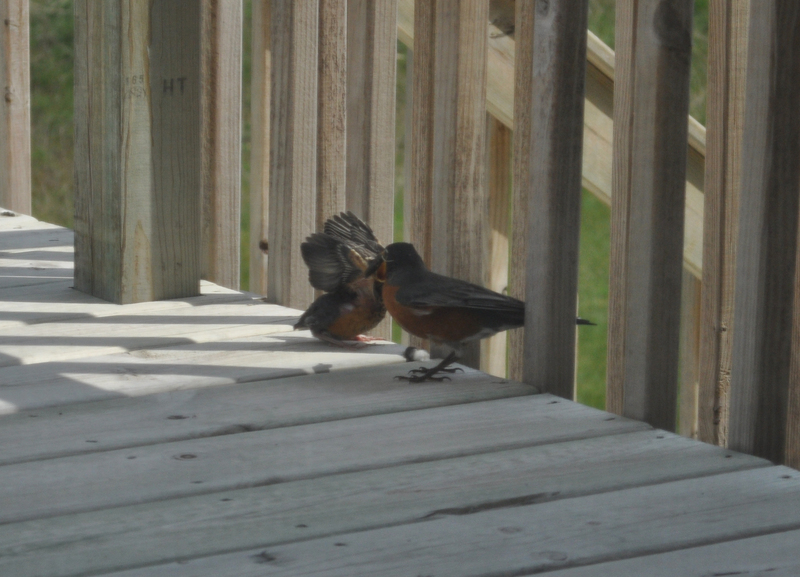 Nature in my backyard…hope the baby is okay with the heavy rain we are supposed to be getting soon.